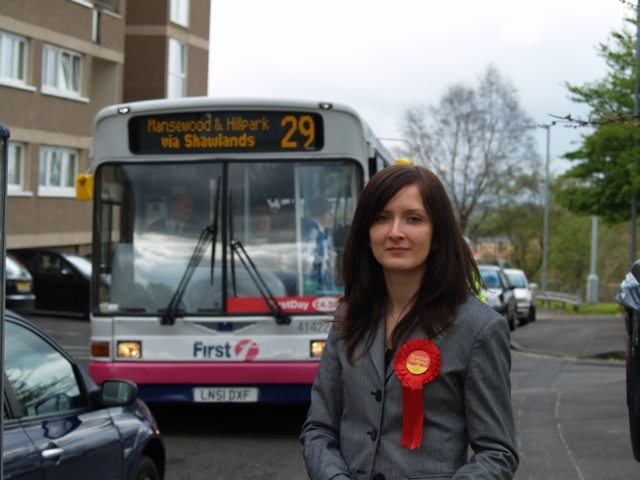 Emma Gillan has served as a Scottish Labour Councillor for Newlands/ Auldburn since May 2012. Emma is a mother of one and lives in Cathcart. Emma serves as Chair of the Newlands/ Auldburn Area Committee and Convener of the Greater Pollok, Newlands and Auldburn Local Community Planning Partnership. She is a member of the Council’s Regeneration and the Economy Policy Development Committee and is a board member of Culture and Sport Glasgow and Glasgow’s Regeneration Agency. Emma studied Economics and French at the University of Strathclyde then worked as a Parliamentary Assistant on the European Parliament’s Economic and Monetary Affairs Committee before going on to provide casework support to an MSP in Glasgow. Emma is a committed member of the Co-operative Party and Community trade union. Fluent in French and a keen amateur astronomer, Emma is studying towards an Open University physics degree. Get in contact with Emma using any of the above links on this page.